It's time for deadly baseball! Harley Quinn is a formidable foe with a baseball bat, but when you swap out balls for live bombs, her game turns lethal. Decked out in athletic gear, Harley is dressed and ready for batting practice and-should he show up-Batman. Be sure to pick yours up, because it's a guaranteed home run. 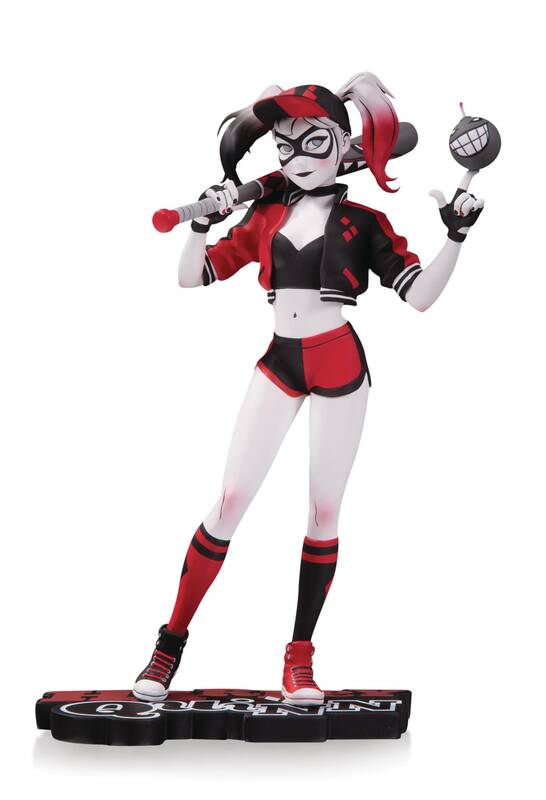 HARLEY QUINN: RED, WHITE & BLACK statues are based on art from the comics industry's top creators and re-create their vision of the red-hot villain in vivid 3-D detail. • Limited to 5,000 pieces and individually numbered • Figures measure 7' tall • Allocations may occur • Final products may differ from images shown • Approximately 8 units per carton.